A peasant has seven sons and no daughter. Finally a daughter is born, but is sickly. The father sends his sons to fetch water for her to be baptized. In their haste, they drop the jug in the well. When they do not return, their father thinks that they have gone off to play and curses them and so they turn into ravens. When the sister is grown, she sets out in search of her brothers. She attempts to get help first from the sun, which is too hot, then the moon, which craves human flesh, and then the morning star. The star helps her by giving her a chicken bone and tells her she will need it to save her brothers. She finds them on the Glass Mountain. She has lost the chicken bone and chops off one of her fingers to use as a key. She goes into the mountain, where a dwarf tells her that her brothers will return. She takes some of their food and drink and leaves in the last cup a ring from home. When her brothers return, she hides. They turn back into human form and ask who has been at their food. The youngest brother finds the ring, and hopes it is their sister, in which case they are saved. She emerges, and they return home. 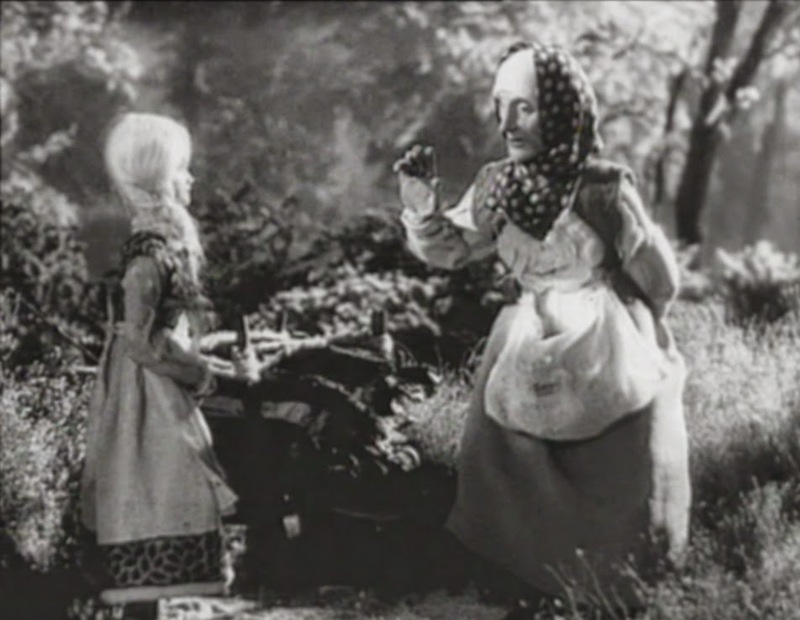 The tale also inspired an early German stop motion animated film (Die sieben Raben) that was created by the Diehl brothers in 1937, shortly before Disney's Snow White and the Seven Dwarfs. Image from Dan North's blog HERE.